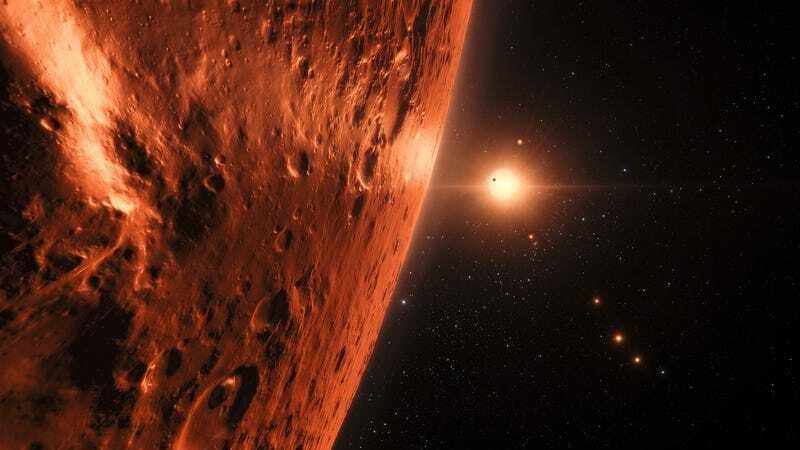 From the moment that seven Earth-sized planets were discovered in orbit around TRAPPIST-1—an ultracool dwarf star located 39 light years away—astronomers have been busy trying to learn everything they can about this intriguing star system, particularly its potential to foster life. Recently, an international team of scientists used the Hubble Space Telescope to assess the chances of water existing on these planets—and the results are promising. Using the Space Telescope Imaging Spectrograph (STIS) aboard Hubble, an international team of astronomers studied the amount of ultraviolet radiation being received by each of the seven TRAPPIST-1 planets, and ran calculations to determine how this radiation might be influencing the amount of water on each. The ensuing study concludes that the two innermost planets are likely dry as a bone, but the remaining five—three of which reside with the star system’s habitable zone—could hold large bodies of surface water. The finding represents another “on again” clue in regards to TRAPPIST-1's potential to harbor alien life. Since discovering these planets in February, astronomers have pointed to its unusually large habitable zone, its high potential for inter-planetary microbial contamination (i.e. panspermia), and massive ocean tides caused by strong gravitational interactions—all of which are good for life. On the downside, TRAPPIST-1 shoots off the occasional atmosphere-shredding solar flare, which is bad for life. Here’s the deal with the new study, headed by Swiss astronomer Vincent Bourrier from the Geneva Observatory in Switzerland. As the ill-fated passengers of the Hindenburg would tell you if they could, hydrogen gas is very light and it likes to go up. This gas can easily escape a planet’s atmosphere, and because Hubble is an awesome space telescope, astronomers can detect hydrogen in the TRAPPIST-1 exoplanets’ immediate vicinity. Its presence is considered a potential indicator of atmospheric water vapor. At the same time, measurements of the amount of ultraviolet light hitting these planets allow scientists to estimate the rate at which their atmospheres are bleeding into space. “As in our own atmosphere, where ultraviolet sunlight breaks molecules apart, ultraviolet starlight can break water vapour in the atmospheres of exoplanets into hydrogen and oxygen,” explained Bourrier in a press release. Observations of TRAPPIST-1 over a three month period suggests that atmospheric escape has played an important role in the evolution of its seven planets—a process that’s still ongoing. Calculations made by Bourrier’s team suggests that the two innermost planets, TRAPPIST-1b and TRAPPIST1-c, have lost gigantic loads of water over the course of their history. These two planets, which receive the highest amount of ultraviolet energy, could have bled 20 Earth-oceans worth of water into space over the past eight billion years. 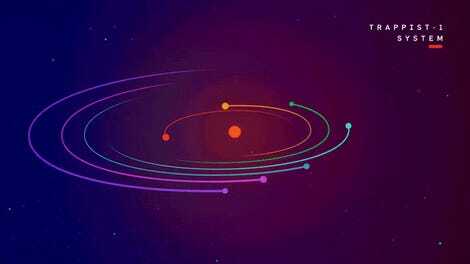 As for the five outer planets, the story is a bit more encouraging. Based on the new data, they’ve likely only lost about three Earth-oceans worth of water. What’s more, planets e, f, and g should be able to support liquid water at their surfaces given their location within the system’s habitable zone. 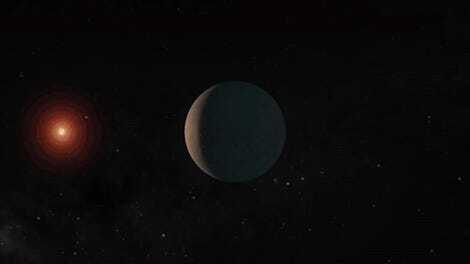 The researchers caution that these estimates are limited on account of not knowing the precise mass of each planet. Also, these conclusions were solely based on ultraviolet transit spectroscopy, where scientists analyze the light from an exoplanet to identify any gases that may be present. More data, including more direct observations, will go a long way toward proving if TRAPPIST-1 is as water-rich as this new study suggests it could be. “While our results suggest that the outer planets are the best candidates to search for water with the upcoming James Webb Space Telescope, they also highlight the need for theoretical studies and complementary observations at all wavelengths to determine the nature of the TRAPPIST-1 planets and their potential habitability,” said Bourrier. It feels like we’re in the golden age of astronomy, but looking ahead to the future, this is only the beginning.